Weird is different… right? In many cases, weird is exactly what you need when it comes down to a successful healthcare approach. I’ll explain. All too often, many Americans pop prescription drugs to deal with the aches and pains. Although, as we know, most pharmaceutical drugs are just symptom relief treatments. However, Traditional Chinese Medicine treats the root of all disease at the core. This ancient medical practice looks beyond the triad of symptoms. Instead, Eastern Medicine treats the whole person from beginning to end. 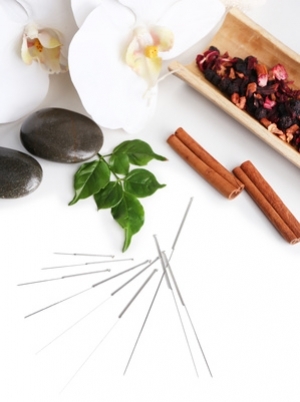 With that being said, all too often, Chinese Medicine is still phrased as a “weird medical practice.” For example, as an Acupuncturist, many people I meet during health-fairs are on the fence about using needles to heal the body. But, if you look deeper at the rich philosophical and medical potential of the medicine, you won’t even think twice about trying Acupuncture. In here, I will explain 5 weird but effective treatments for pain. Acupuncture channels, we imagine these imaginary lines going up and down the body. However, these illustrations are just from imagination and we need to think beyond that. Yes, they serve as an artful depiction with much educational value, but the channels are deeper and less esoteric than we think. Essentially, Acupuncture channels are living and breathing organisms that are connected to every organ and body system in the body. This organic channel network system is constantly adapting to the environment and constantly changing. In reality, they are just external expressions of the internal health inside. For this reason, Acupuncture is a must for the treatment of any acute or chronic pain condition. To be totally honest, the Chinese do some odd stuff to get medical results. In Eastern Medicine, Its common to go get Acupuncture and have cupping done as well. Cupping therapy is known to help with tight muscles that affect larger regions. The way, cupping works is by creating a light suction on the superficial aspect of the skin. This will cause the pulling of the skin, muscles, and fascia upwards. As we know, our bodies run around 98.6 degrees. When we pull the top layer of the skin and fascia, we let out all the excess stagnation out and increase blood flow. Thus, the muscles will expand and relax. Also, similar to Acupuncture theory, cupping therapy follows specific meridians along the body. There are two main types of cupping I will explain; static cupping and sliding cupping. Static cupping simply means that the practitioner will position the cups along the back and leave them there for 10-15 minutes. Once they are taken off, you will have pink, red, maybe even purplish tattoo-like circles across the back (don’t worry, they only last 3-7 days). I don’t recommend getting cupping before your wedding day though. Not smart! The next technique and my favorite is known as, sliding-cupping. The Acupuncturist will first put a thin layer of un-scented massage oil and place the cups accordingly. Then, they will begin to slide the cups up and down the back. It’s safe, virtually painless, and helps with stubborn chronic muscle pain. Further, cupping may secondarily lower high blood pressure levels. Lastly, cupping therapy can be used for some lung issues such as the congestion from a common cold or managing asthma. Many report an easier time breathing after a session. You will leave the clinic feeling relaxed and pain-free! wind-cold (common cold) with accompanying tight achy muscles. This simple technique helps to increase micro-circulation in the soft tissue. To practice this technique, visit an Acupuncturist. They will apply light massage oil on the area and use a smooth surface to scrape softly against the surface of the skin. This will cause redness (petechia) and mild bruising (ecchymosis). The main reason for Gua-Sha is to unblock all of that rigid stagnation in the muscle. This technique is especially great for stiffness and pain around the neck (back, side, and front), upper shoulders around the scapula, and along the long muscles along the spine. Depending on the strength of the Gua-Sha, one may be red for a couple days. Don’t worry, this will all go away within 5-7 days. The lasting benefits include, better blood circulation and more relaxed muscles. Therapy) which incorporates deep tissue techniques to encourage healing. When treating stubborn chronic pain, there needs to be a comprehensive approach to manage and heal the body naturally. By incorporating a fusion of Massage and Acupuncture, blood flow can me maximized and healing may occur at a quicker rate. Chinese Massage is similar to a Sports Massage where the practitioner incorporates active range of motion exercises and also applies specific massage techniques to relieve the pain. Tui Na is often described as rigorous, dynamic, and AMAZING! Some of the purposes of this type of Massage are to improve the circulation of Acupuncture channels, break up knots, and relieve pain levels. purposes. It is widely used to promote blood flow in and around areas of chronic pain (especially due to excess cold). Further, this ancient herb may also be used for getting rid of a common cold. Studies have found that Moxa may help with specific pain conditions (i.e. Tennis Elbow), hypertension, and IBS (Irritable Bowel Syndrome). Other uses for Mugwort include gynecological issues, cold hands and feet, and immune support. Moxa is used by burning up the herb and used along specific meridians along the body. In Chinese Medicine, mugwort is considered acrid which has a very dispersing quality. In this way, Moxa helps to quickly warm up and unblock any internal stagnation!